we buy mismatched socks BY THE POUND to save money! Um, okay. 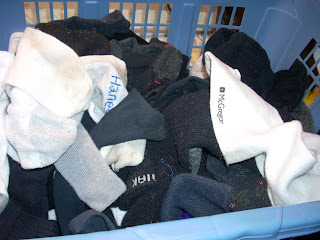 I just had that weird thought as I looked at the laundry basket FULL of unmatchable socks. Out tutoring tonight; joy! bliss!